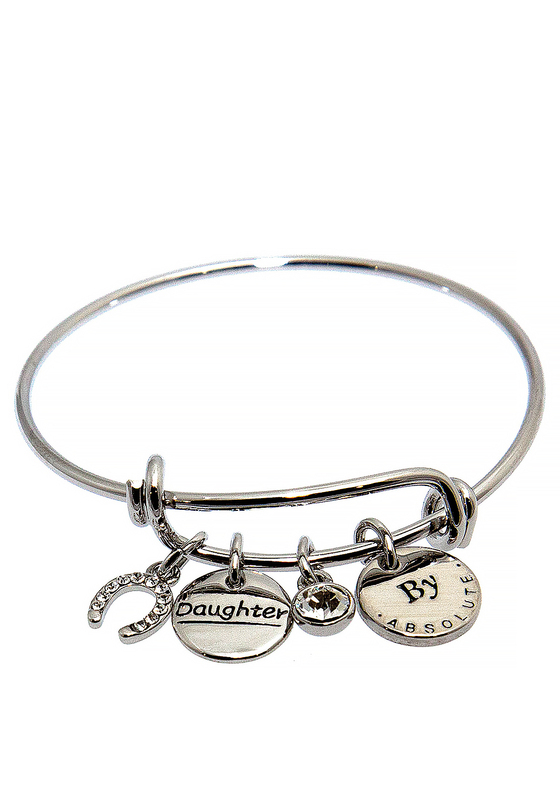 A great gift idea which your little girl will fall in love with. 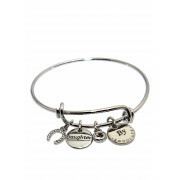 This silver plated adjustable bangle from Absolute Jewellery will be cherished forever. There are 4 charms - a diamante, a diamante embellished horse shoe, one which says daughter and that features Absolute branding.